Buy Hansell Films & Video train videos online from Train Pictures. These local Australian productions by Peter Hansell depict exciting railroad journeys across Queensland. Rail fans of steam trains are sure to find an intriguing new film to enjoy when you buy Hansell Films & Video train videos online. To enquire about a particular title you don’t see in our online range, contact Train Pictures to buy Hansell Films & Video train videos online (07) 5547 6476 or shop@trainpictures.com.au. 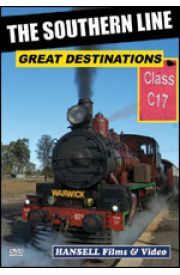 The Southern Downs Steam Railway, operating out of Warwick offers great steam tours throughout the Southern Downs area of Queensland. 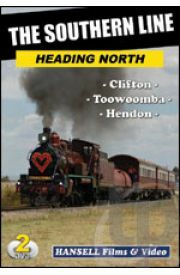 This twin DVD set covers various tours to Clifton, Toowoomba and Hendon on the 3 foot 6 inch gauge Q.R. system. Climb aboard C17 971 and 974 for this top .. 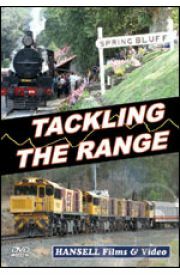 Ten years in the making... "Tackling the Range" is a wonderful and informative presentation covering the history and recent events on the Toowoomba Range. The 3'6" gauge Q.R. railway follows the contours of ridges, with track typically set in along ascending hillsides and banks..
Join us for the 2008 Steam tour along the North Coast Line to Gympie. 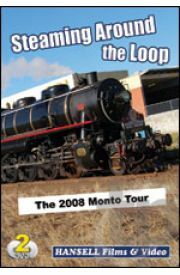 After a visit to the Mary Valley Heritage Railway and a great time on the Valley Rattler, we are off again to the Monto Loop. This loop line between Maryborough and Gladstone was created when lines from Maryborough to Gaynda..